Roelof Bezuidenhout focuses on the importance of the micron in Angora hair and how to shear and grade. A well-sorted, top quality bale of kid hair. Mohair is classed according to length and fibre diameter – expressed in microns (µ0) – which is determined mainly by the age of the goat. ‘Kid’ (24µ to 29µ) hair is shorn twice before becoming ‘young goat’ (30µ to 34µ). After that, hair is known as ‘fine adult’ or ‘strong adult’ (35µ to 40µ). Depending on veld condition, season and breeding, young goat hair could qualify as kid, while fine adult hair could qualify as young goat. Prices usually favour the finer micron lines, but it is important to strike a balance between fine and strong Angora hair. Although finer hair may be priced higher, there will be less of it, while the stronger hair may make up in kg/animal what it lacks in fineness. Very short hair carries a price penalty, so it is best to shear between 100mm (C length) and 150mm (B length). A technique known as Every Goat Tested (EGT) can be used to measure the hair before shearing to take the guesswork out of classing. Quality kid and young goat hair exhibits ‘style and character’, which describes the curls, twists, turns and waves in the locks. As the animal matures, the locks become flatter, more open and stronger, with less ability to protect individual fibres from sun and dust. Older goats have less hair. The flock should be graded into age groups and the hair of each group sheared, sorted and packed separately. If there are enough kapaters, make a different line for them as their hair could be longer and stronger than that of ewes that have raised kids. A young goat fleece of good length ready for sorting. The shearers should remove the fleeces evenly with few double cuts, and no injuries to the goats. Facial hair, short hairs along the legs and urine-stained and belly hair must be removed and sorted away from the main fleece lines. The intact, shorn fleece is cast and spread onto a mesh skirting table. 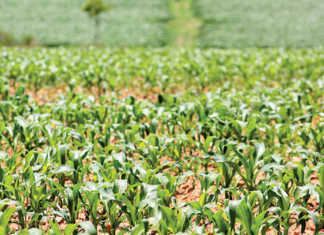 Stronger, flatter neck hairs and shorter breeches are removed, along with stained or seed-contaminated locks, and placed in a separate bin. Fleeces are assessed for length, fineness, softness of handle and general quality, placed into line bins and marked ‘BSFK’ for the top kid line, ‘BSYG’ for the top young goat line, and, perhaps, ‘CSFH’ for the best adult hair. ‘S’ denotes style and ‘F’ fineness. Ideally, given the required labour, each hair line should be worked through again before being packed so that it is as clean and uniform as possible for the market. Depending on the size of each line, hair is pressed by hand into special bags in 40kg to 80kg lots or into bales that can hold up to 120kg. 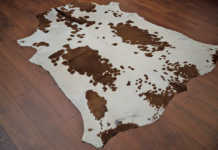 South Africa and Lesotho produce most of the world’s quality mohair. 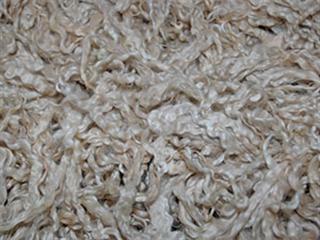 It is used in luxury items, from men’s suits to women’s fashion clothes, hand-knitting yarns for rugs, blankets, upholstery, curtains and carpets. Mohair is durable, fire-resistant, takes dye well and has a unique lustre. The Eastern Cape produces most of South Africa’s clip. 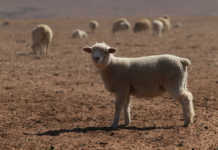 Mohair is auctioned in Port Elizabeth and exported semi-processed to Europe and the Orient. Although the market has stabilised in recent years, demand for mohair remains largely fashion-driven and therefore cyclical, with fluctuations in the price of especially kid and young goat hair. The boom and bust nature of the market has resulted in a sharp decline in mohair production since the 1980s. 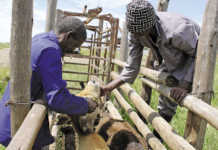 The remaining Angora goat farmers maintain that it is the best small-stock breed in shrub veld. The current mohair price ranges from R80/ kg for strong adult to R400/kg for super kid hair. Expect to shear at least 1,5kg/ year from a kid, 4kg to 5kg from a ewe, and a few kilograms more from a kapater. Freelance agricultural journalist, Roelof Bezuidenhout is a fourth-generation Karoo small-stock farmer specialising in Merino and Dorper sheep and Angora goats.